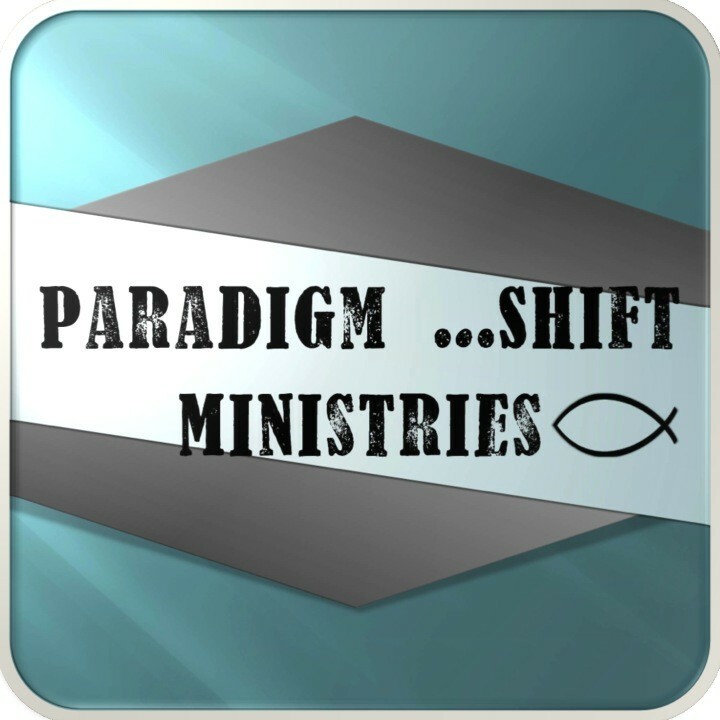 Paradigm Shift Ministries - "Reimagining and reigniting the local church – together." "Reimagining and reigniting the local church – together." Big Idea: Jesus set us free so we can live for Him. But when Peter came to Antioch, I had to oppose him to his face, for what he did was very wrong. When he first arrived, he ate with the Gentile believers, who were not circumcised. But afterward, when some friends of James came, Peter wouldn’t eat with the Gentiles anymore. He was afraid of criticism from these people who insisted on the necessity of circumcision. As a result, other Jewish believers followed Peter’s hypocrisy, and even Barnabas was led astray by their hypocrisy. When I saw that they were not following the truth of the gospel message, I said to Peter in front of all the others, “Since you, a Jew by birth, have discarded the Jewish laws and are living like a Gentile, why are you now trying to make these Gentiles follow the Jewish traditions? But suppose we seek to be made right with God through faith in Christ and then we are found guilty because we have abandoned the law. Would that mean Christ has led us into sin? Absolutely not! Rather, I am a sinner if I rebuild the old system of law I already tore down. For when I tried to keep the law, it condemned me. So I died to the law—I stopped trying to meet all its requirements—so that I might live for God. My old self has been crucified with Christ. It is no longer I who live, but Christ lives in me. So I live in this earthly body by trusting in the Son of God, who loved me and gave himself for me. I do not treat the grace of God as meaningless. For if keeping the law could make us right with God, then there was no need for Christ to die. The post United by Grace | April 28, 2018 appeared first on Paradigm Shift. Now those who had been scattered as a result of the persecution that started because of Stephen made their way as far as Phoenicia, Cyprus, and Antioch, speaking the word to no one except Jews. But there were some of them, men from Cyprus and Cyrene, who came to Antioch and began speaking to the Greeks also, proclaiming the good news about the Lord Jesus. The Lord’s hand was with them, and a large number who believed turned to the Lord. News about them reached the church in Jerusalem, and they sent out Barnabas to travel as far as Antioch. When he arrived and saw the grace of God, he was glad and encouraged all of them to remain true to the Lord with devoted hearts, for he was a good man, full of the Holy Spirit and of faith. And large numbers of people were added to the Lord. Then he went to Tarsus to search for Saul, and when he found him he brought him to Antioch. For a whole year they met with the church and taught large numbers. The disciples were first called Christians at Antioch. In those days some prophets came down from Jerusalem to Antioch. One of them, named Agabus, stood up and predicted by the Spirit that there would be a severe famine throughout the Roman world. This took place during the reign of Claudius. Each of the disciples, according to his ability, determined to send relief to the brothers and sisters who lived in Judea. They did this, sending it to the elders by means of Barnabas and Saul. How can we make sure we don’t limit our outreach to ‘people like us’? What can we do better to support those who are in need? The post Living Faith | April 21, 2018 appeared first on Paradigm Shift. After many days had passed, the Jews conspired to kill him, but Saul learned of their plot. So they were watching the gates day and night intending to kill him, but his disciples took him by night and lowered him in a large basket through an opening in the wall. When he arrived in Jerusalem, he tried to join the disciples, but they were all afraid of him, since they did not believe he was a disciple. Barnabas, however, took him and brought him to the apostles and explained to them how Saul had seen the Lord on the road and that the Lord had talked to him, and how in Damascus he had spoken boldly in the name of Jesus. Saul was coming and going with them in Jerusalem, speaking boldly in the name of the Lord. He conversed and debated with the Hellenistic Jews, but they tried to kill him. When the brothers found out, they took him down to Caesarea and sent him off to Tarsus. So the church throughout all Judea, Galilee, and Samaria had peace and was strengthened. Living in the fear of the Lord and encouraged by the Holy Spirit, it increased in numbers. Have you witnessed a radical change in someone you know because of their faith in Jesus? Describe a tie From when faith and common mission brought different people or churches together. How have you over come fear when it comes to sharing your faith? The post Faith Over Fear | April 14, 2018 appeared first on Paradigm Shift. Big Idea: The Gospel of Christ should change our hearts (the resurrection sets us free). Discuss why you do or do not believe in Jesus. How has your faith influenced your life? Have you noticed and dramatic changes? Are you prepared to explain your faith if/when given the opportunity? The post Saul Became Paul | April 7, 2018 appeared first on Paradigm Shift. If the world hates you, understand that it hated me before it hated you. If you were of the world, the world would love you as its own. However, because you are not of the world, but I have chosen you out of it, the world hates you. Remember the word I spoke to you: ‘A servant is not greater than his master.’ If they persecuted me, they will also persecute you. If they kept my word, they will also keep yours. But they will do all these things to you on account of my name,because they don’t know the one who sent me. If I had not come and spoken to them, they would not be guilty of sin. Now they have no excuse for their sin. The one who hates me also hates my Father. If I had not done the works among them that no one else has done, they would not have sin. Now they have seen and hated both me and my Father. But this happened so that the statement written in their law might be fulfilled: They hated me for no reason. When the Counselor comes, the one I will send to you from the Father— the Spirit of truth who proceeds from the Father— he will testify about me. You also will testify, because you have been with me from the beginning. I have told you these things to keep you from stumbling. They will ban you from the synagogues. In fact, a time is coming when anyone who kills you will think he is offering service to God. They will do these things because they haven’t known the Father or me. But I have told you these things so that when their time comes you will remember I told them to you. I didn’t tell you these things from the beginning, because I was with you. But now I am going away to him who sent me, and not one of you asks me, ‘Where are you going?’ Yet, because I have spoken these things to you, sorrow has filled your heart. Nevertheless, I am telling you the truth. It is for your benefit that I go away, because if I don’t go away the Counselor will not come to you. If I go, I will send him to you. When he comes, he will convict the world about sin, righteousness, and judgment: About sin, because they do not believe in me; about righteousness, because I am going to the Father and you will no longer see me; and about judgment, because the ruler of this world has been judged. Have you had an experience where someone misunderstood your intentions because they didn’t know Christ? In what ways can we overcome ignorance and fear in order to point people to Jesus? Describe a time in your life where you moved from sorrow to joy. The post Spirit of Truth | March 10, 2018 appeared first on Paradigm Shift. Big Idea: If we love Jesus, we must love each other. Now when it was time for supper, the devil had already put it into the heart of Judas, Simon Iscariot’s son, to betray him. Jesus knew that the Father had given everything into his hands, that he had come from God, and that he was going back to God. So he got up from supper, laid aside his outer clothing, took a towel, and tied it around himself. Next, he poured water into a basin and began to wash his disciples’ feet and to dry them with the towel tied around him. “If you love me, you will keep my commands. And I will ask the Father, and he will give you another Counselor to be with you forever. He is the Spirit of truth. The world is unable to receive him because it doesn’t see him or know him. But you do know him, because he remains with you and will be in you. In what ways can we better serve the people in our lives? Compare the love of Christ versus multi-cultural tolerance. In what ways have you experienced the living Christ? The post Commanded to Love | March 3, 2018 appeared first on Paradigm Shift. After this, the Lord appointed seventy-two others, and he sent them ahead of him in pairs to every town and place where he himself was about to go. He told them, “The harvest is abundant, but the workers are few. Therefore, pray to the Lord of the harvest to send out workers into his harvest. Now go; I’m sending you out like lambs among wolves. Don’t carry a money-bag, traveling bag, or sandals; don’t greet anyone along the road. Whatever house you enter, first say, ‘Peace to this household.’ If a person of peace is there, your peace will rest on him; but if not, it will return to you. In what ways can we be ‘people of peace’ in these divisive times? How can we overcome fear in order to help others find freedom in Christ? What does the phrase ‘childlike faith’ mean to you? The post Change the World | February 24, 2018 appeared first on Paradigm Shift.